Slow Cooking, Done Fast! Discover more than 175 delicious recipes—from easy appetizers to mouth-watering main dishes—perfect for any pressure cooker! Why wait hours for your dinner to simmer on the stovetop, when a pressure cooker can produce delectable results in minutes? This unbelievably quick and easy kitchen tool can cook up to 70% faster than a slow cooker or oven, and the results are always rich, flavorful, and satisfying. 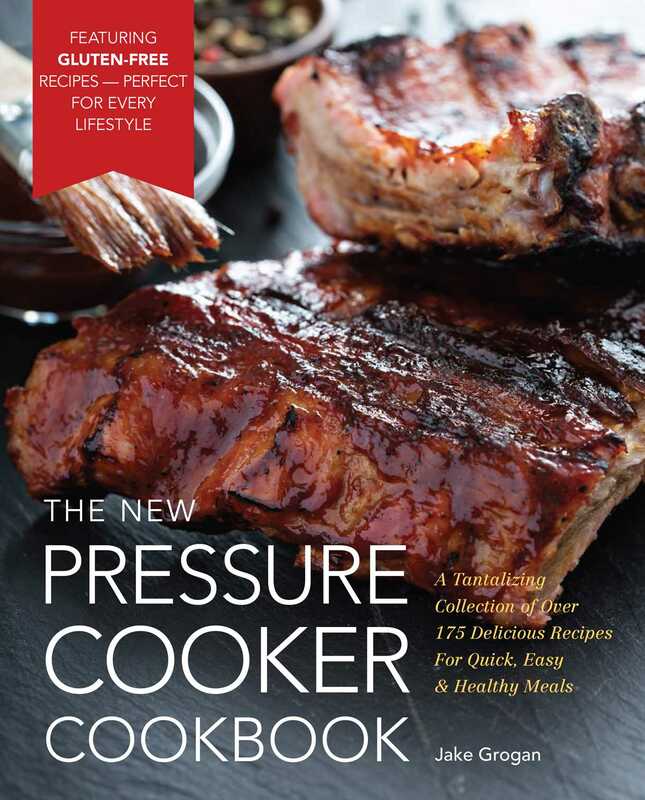 The New Pressure Cooker Cookbook presents more than 175 recipes tailor-made for your electric or stovetop pressure cooker, covering every meal from breakfast to desserts, including: *Chicken Bone Broth *Homemade Ketchup *Creamy Cauliflower Soup *Spicy Mexican Beef Stew *Stuffed Bell Peppers *Beer-Soaked Chicken *Beef Short Ribs with Rosemary *Sweet Barbecue Pork *Swordfish with Lemon and Capers *Cilantro Lime Rice *Loaded Mac and Cheese *Baked Apples *Chocolate Cake. With tips on making recipes Vegetarian, Vegan, Paleo, and Gluten-Free, this book has something for every lifestyle! Packed with information about the best ways to use, clean, and store your pressure cooker, plus the ideal cooking times and temperatures for any key ingredient, this is the only pressure cooker cookbook you’ll ever need.